The Orkney Bird House offers a perfectly roomy space for small birds to raise a family in the garden. Produced using dipped and treated Pine the front features a small circular entrance ensuring only little tenants can get in. The wood is thick and safe to help insulate nests during winter and the house comes with a removable front section to open when required. 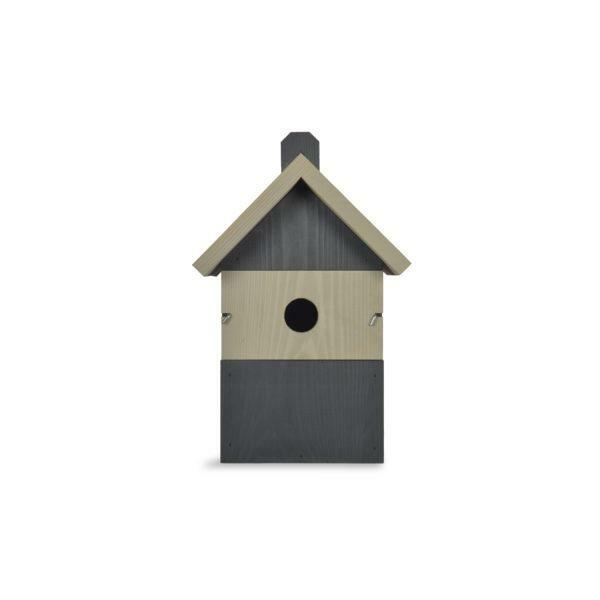 We’ve added the attachment with a hole making the bird house easy to mount to a wall or tree. Removable front panel, with 28mm diameter entrance. Dip treated with water based non-toxic wood stain.